How I replaced the engine in my 1991 Jeep Cherokee. My old XJ has served me well for nearly 500,000 miles. The odometer stopped working at 444444 and I have swapped clusters a couple of times, so I really don’t know what the current mileage is. I picked up my new engine form R&L carriers today. I figured it would be easier to pick it up at the freight depot than deal with getting a truck backed up to my shop. 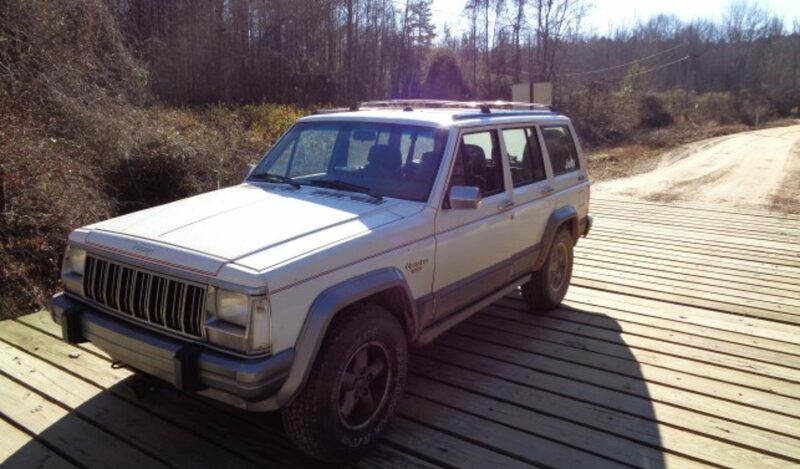 My son’s 1991 Jeep cherokee had a problem where when you put it in four wheel drive, it would stay there. Since he has a 231 transfer case, this was not good on dry pavement. To get it out of 4HI, I had to crawl under neath and pop it out with a pry bar. I could see the problem right away. The bushing at the transfer case was worn out allowing the lever to move around on the rod. I found that Amazon had the bushing so I ordered a couple. They are kinda expensive for a small piece of plastic but not too bad.